DC Voltage 600.0 mV to 1000 V, 5 ranges, Basic accuracy: ±0.5 % rdg. ±5 dgt. 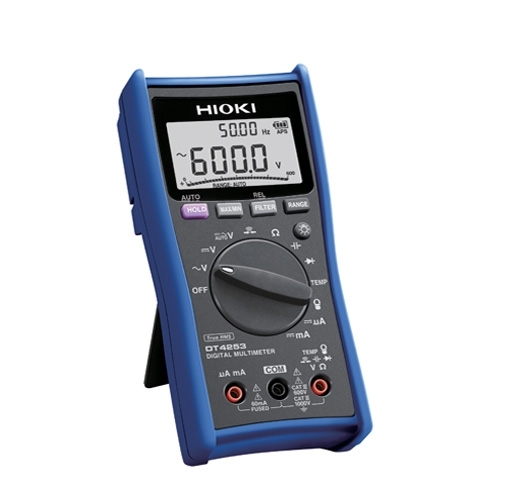 Resistance 600.0 Ω to 60.00 MΩ, 6 ranges, Basic accuracy: ±0.7 % rdg. ±5 dgt. DC Current 60.00 μA to 60.00 mA, 4 ranges, Basic accuracy: ±0.8 % rdg. ±5 dgt. C (capacitance) 1.000 μF to 10.00 mF, 5 ranges, Basic accuracy: ±1.9 % rdg. ±5 dgt.